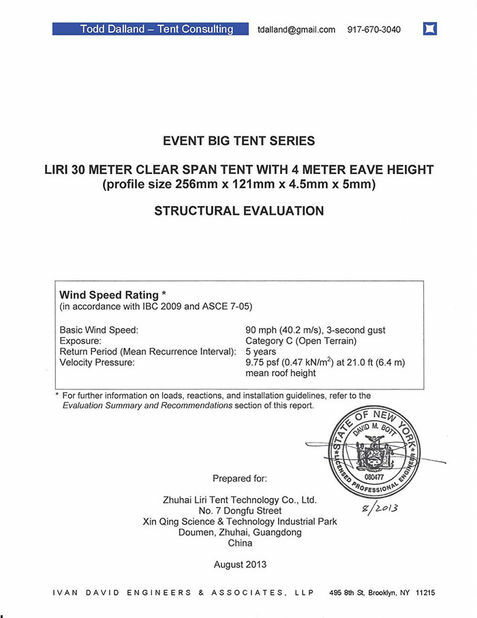 Liri Tent ushered in a new breakthrough in 2018, initiated introduced profile size achieved of 500mm x 150mm and maximum span 70m to 80m. Developed assembling stadium tent structure, and built nearly 20,000 square meters of all-weather football stadium, and BKS Happy World Boxing Park in Changsha Moon Island. The assembling hotel tents with tensile membrane structure were developed, a hotel tent structure comparable to a five atar hotel"five star" was built for the first time in the tourist scenic spot of Ganzi Tibetan Autonomous Prefecture, Sichuan Province. 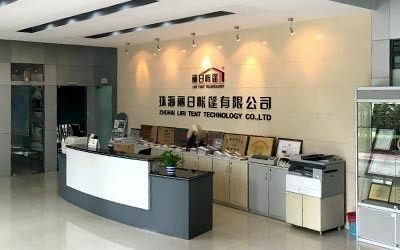 Created as a sub brand of Liri Tent，Zhuhai Moxuanju Architecture Technology Co., Ltd. was established. Warmly Congratulate Liri Changsha Branch was formally established , develop market and serve the region of Central China. Liri Tent joined the air show for 20 years, awarded the title of "12th China Airshow Tent Construction Special Service Provider", provided more than 80,000 square meters of tent buildings ，which is the most among all past China Airshows. The 20th Anniversary Celebration of Liri Tent "Inheritance of Originality / Moving Ahead with Gratitude" was successfully held in the celebration tent of the new factory. A 30m X 60m double decker thermo roof cube structure that with 8m eave height was built as a temparory museum for the global premiere of "Meet Vincent Van Gogh"
Building a 50m span huge tent that with the tallest eave height(10m) in China for a temporary theatre of "Magic Show"
Won the "Guangdong Famous Trademark"
The designated supplier of Big Tent for IAAF World Championships BEIJING 2015. 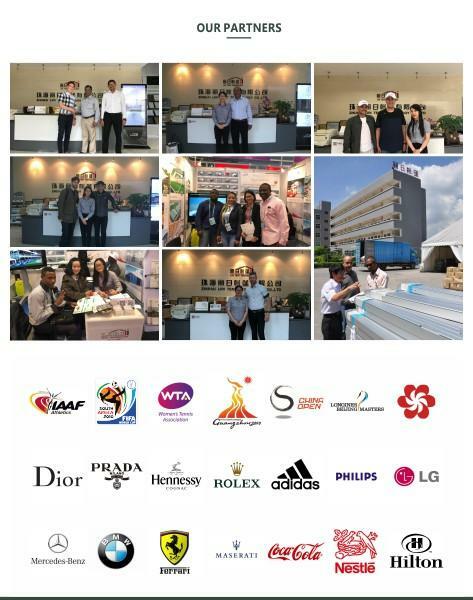 Official Tent Supplier for WTA Elite Trophy Zhuhai. Tent supplier of 2015 Longines Equestrian Beijing Masters. 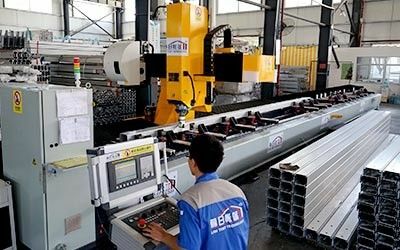 Purchase of 70,000sqm land for Liri Industrial Park expansion uses. 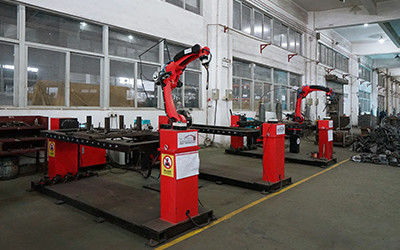 Introduce CNC numerical control machine to the whole aluminum frame processing line. The only Chinese tent company that introduces PVC washing machine from Germany. Sponsor of China Open 2014 with 30m x 110m Cube Double Decker Structure. Awarded the official tent supplier and sponsor of 2013 China Cross Country Rally,providing camping tents for the event. Awarded the tent supplier of the China Cup International Regatta,providing tents for media and control center. Providing 50m width big event tents for Guangzhou Music Artistry of the international brand Hennessy. Providing high-class transparent banquet tents for Hong Kong station of the world tour of the French top fashion brand Dior. Providing big clear-span beer festival tents with the widths 40m and 50m for Beijing Beer Festival,amounting to 13,000 square meters in the aggregate. 4. The application of the latest fixation system for Pagoda Tents and achievement of the national utility model patent. 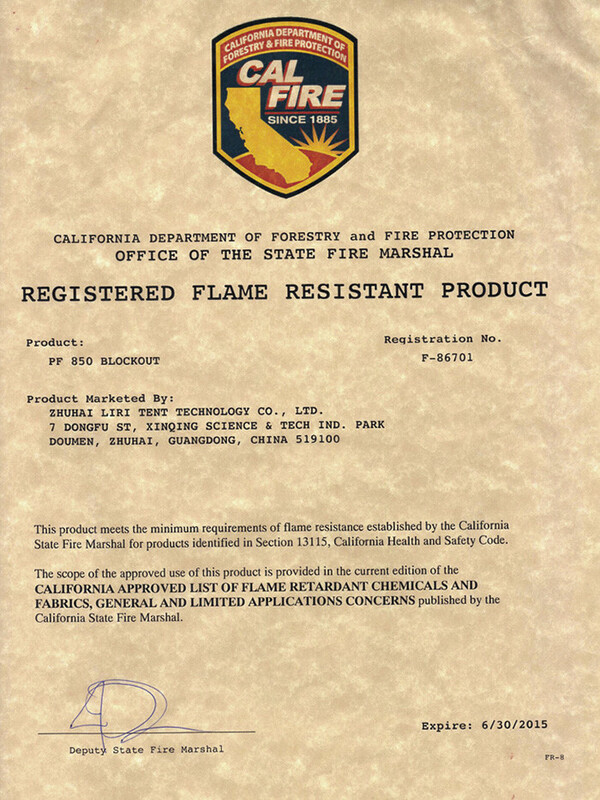 In 2013,Liri Tent has sustained the stable growth,with the tremendous growth for exportation. Liri Tent has also won the honorary title of Zhuhai economic benchmark enterprise. “Outdoor Event Double Decker Tent”Honored with“GMC Innovation China 2013 Innovative Product” Award. Zhuhai Liri tent wins the Honorable Mention in The " Beauty of Made in China" 2013—-The advanced design of Clear Span Aluminum Decagonal Tent. Independently designed and produced the Clear Roof Inflatable Warehouse tent and Double Decker tent. The Exclusive supplier of the 9th Zhuhai Air Show in China as well as tent supplier of the 111th China Import and Export Fair (Canton Fair). 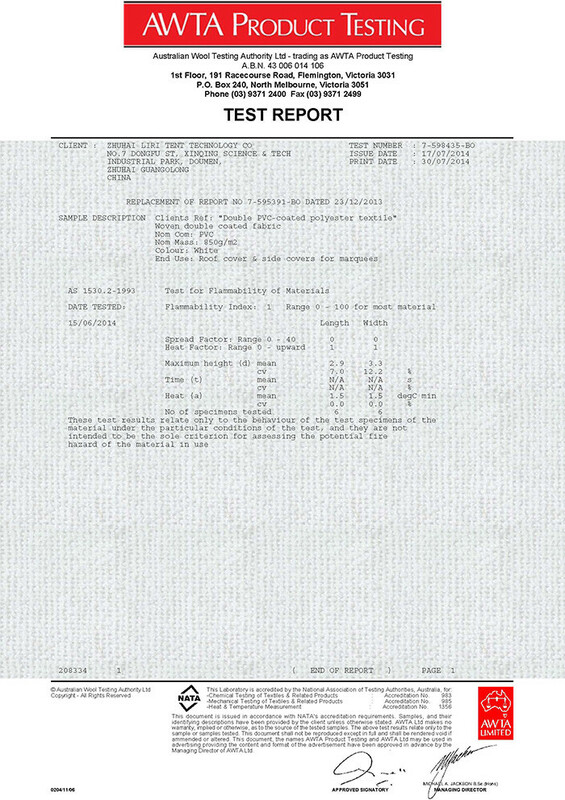 The Beijing and Guangzhou Branches were established. The leading Chinese tent company for tent export volume (information from the China Customs Statistics). Designated tent suppliers for the 2011 Shenzhen World University Games with over 40,000m tents provided. LIRI Tent provided 16,000 m2 of 40x60m large tents as temporary exhibition halls for the 110th China Import and Export Fair (Canton Fair). The designated tent supplier for France Le Mans (Zhuhai) racing,4,000 m2 of VIP hospitality tents provided. Independently developed and produced the world’s largest 60m clear-span tent (main profile size: 400x170x7/10mm). The production plant was expanded by 5,000 m2 to make it 18,000m2 of construction area. LIRI Tent was appointed as the exclusive tent sponsor of the 2010 Guangzhou Asian Games and provided over 60,000 m2 for the event. LIRI supplied tents for the World Cup in South Africa,Harbin Beer Festival and Dalian Beer Festival in China,and the Commonwealth Games in India. Independently developed and produced the Curved Tent and Arcum Tent System. Independently developed and produced the Large Tent system (span: 50m,main profile size: 350x128x7/11mm). Supplied 40m span tents to the 105th Canton Fair. 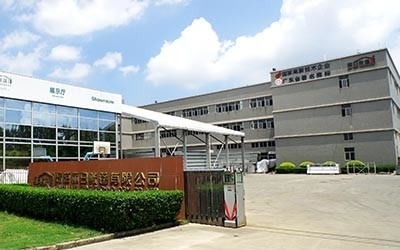 LIRI Tent factory was moved to LIRI Industrial Park and specialized in tent systems’ production,sales,and rental. LIRI Tent provided tents to the Qingdao International Beer Festival with over 15,000 m2. The clear-span ranged from 15m to 30m. Independently developed and produced the Large Tent system (span: 30m-40m main frame profile size: 300x125x5/8mm). LIRI Tent Industrial Park was invested and built. It covers an area of 35,000 m2,including a construction area of 12,000 m2. Independently developed and produced the Big Tent series (span: 20-30m,main frame profile size: 256x121x5mm). The Big Tent systems were used in large amounts at the 100th China import and Export Fair (Canton Fair). Independently developed and produced the Big Tent system (span: 10-25,main frame profile size: 204x110x4mm). The big tents of the clear-span 20m were widely used for the Liuzhou Real Estate in this year. Independently developed and produced the Holiday Tent system (span: 6-15m,main profile size: 122x68x3mm). Independently developed and produced the Pagoda Tent system as well as becoming the designated advertising tent supplier of the Uni-President Enterprise Corp.,Qingqi Motorcycle,and several other racing companies. Independently developed and produced the Gala Tent series (span: 10-18m,main profile size: 166x88x3mm). LIRI Tent received the import and export license in this year as well as beginning to export to developed countries and areas on a large scale. First year to supply tents for security,catering,and registration at the China import and Export Fair (Canton Fair). Independently developed and produced the aluminum alloy structure Garden Tent (Gazebo Tent) and exported for the first time. The Garden Tent was used for the 1999 International Beach Volleyball Tournament in Macau. 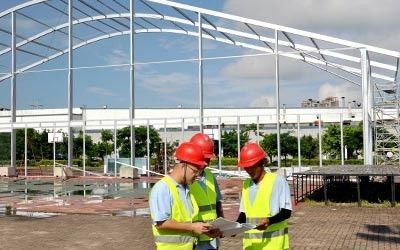 The first company in China to self-develop and produce the aluminum alloy modular-assembly Party Tent (span 6-12m,main frame profile size: 82x48x3mm,PT series). The PT series tents from our company were supplied in large amounts to the 2nd China International Air Show. 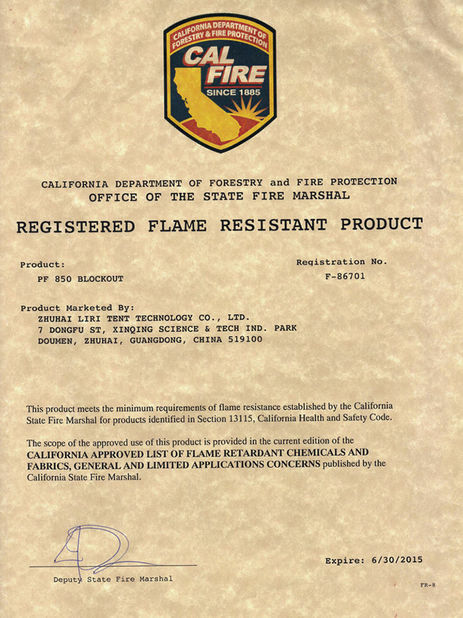 LIRI Tent was founded. LIRI also independently developed and produced the folding advertising tent in this year. The first Chinese company to produce and design the commercial-purpose tent (Folding Tents which are used for advertisement function). 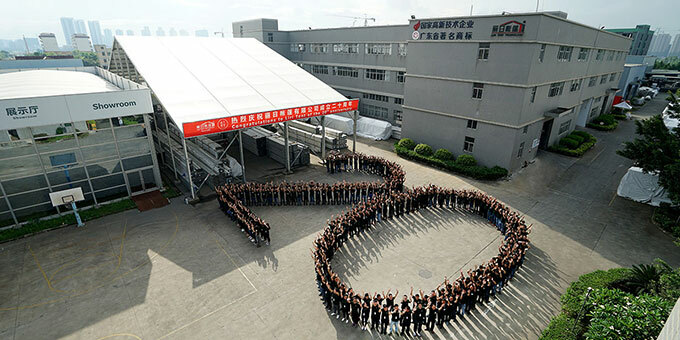 As the biggest marquee tent manufacturer in China, Zhuhai Liri Tent Technology Co.,Ltd. 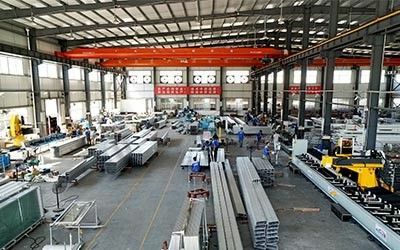 is a leading Chinese company in manufacturing,selling,and renting of aluminium structure tent systems. Liri Tent has provided tents for Canton Fiair for 13 years and is the official marquee tent suppier for Guangzhou Asian Games and Shenzhen Universiade, ASEAN Expo, Qingdao Beer Festival and other big events. Liri Tent has been ranked as the NO.1 marquee tent exporter for 4 years in a row, and the 500,000sqm of leased reserves accounted for over 50% China’s total tent reserve. 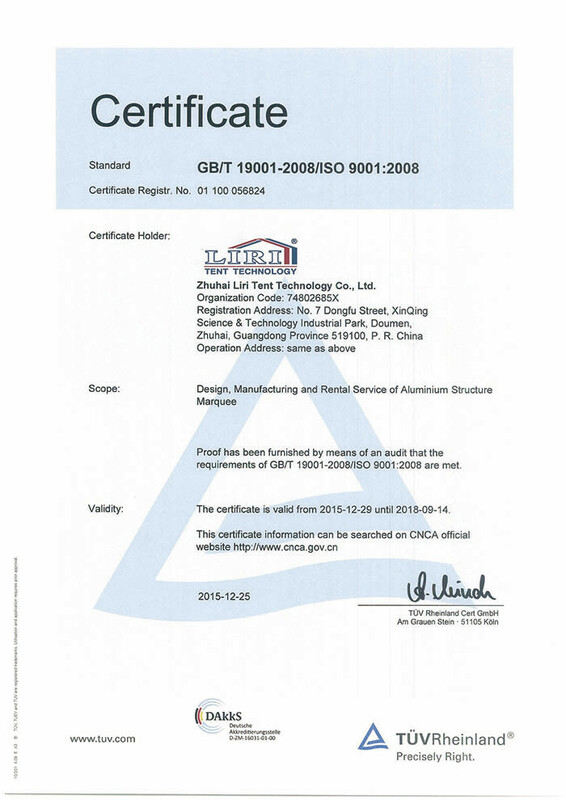 Liri Tent passed the ISO9001:2008 quality management system certification, the quality of our products is trustworthy. We have a very wide range of types of tent avaible for sale, such as party tent, wedding tent,event tent, storage tent , sporting events tent and other types, you name it, we have it. And we provide dozens of marquee tents accessories sale services as well. We have the equipment needed to take care of large or small repair jobs to the products you order from us. Looking for a complete structure to include walls, doors, and tent liners? Check out our full line of accessories, we are able to offer these products designed to enhance your structure. With a highly experienced team, Liri Tent provides temporary events structures across all sectors from sports, music, broadcast, media, conference and exhibitions to corporate events, ceremonial and political events, high profile private events and the supply of semi-permanent event venues, home and abroad. As a proverb goes, pictures say more than a thousand words. Liri tent not only gives you visions, but also lets these visions become reality. 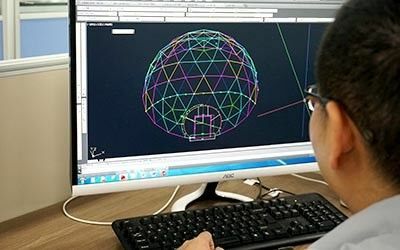 Liri tent uses SketchUp in the planning process. In this way, your constructive ideas can be checked quickly and be fitted excellently to your individual needs by means of expressive 3D graphics. Liri Tents are manufactured in accurate design theory with over 15-year experience practice, and we execute and follow up the entire design and manufacturing process in-house, which leads to no defects, and rapid construction time. 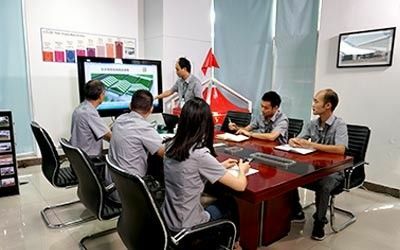 With highly professional sales team, Liri Tent provides timely response, profound understanding, high sense of responsibility for every customer.